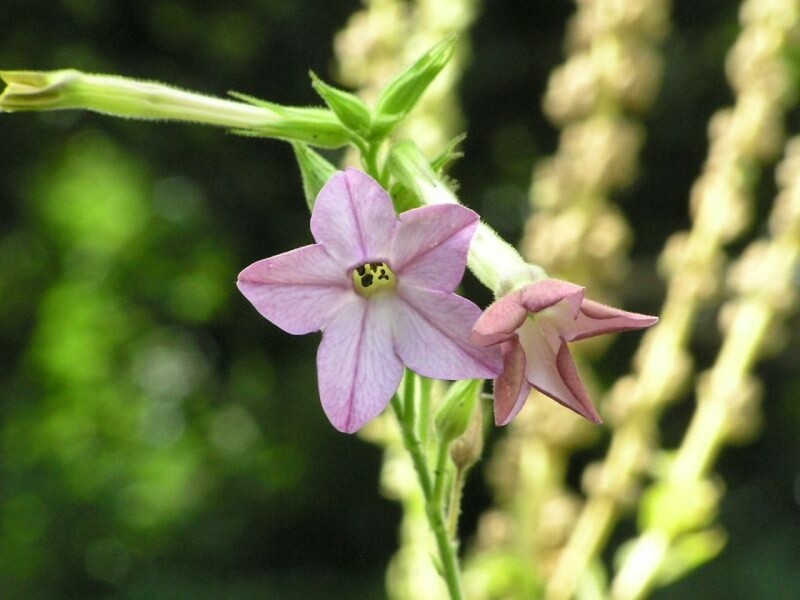 Native to South America but widespread in North America, long-flowered tobacco is so named for its very long, narrow, pinkish flowers that exude a sweet smell at night (probably attracting long-tongued moths). 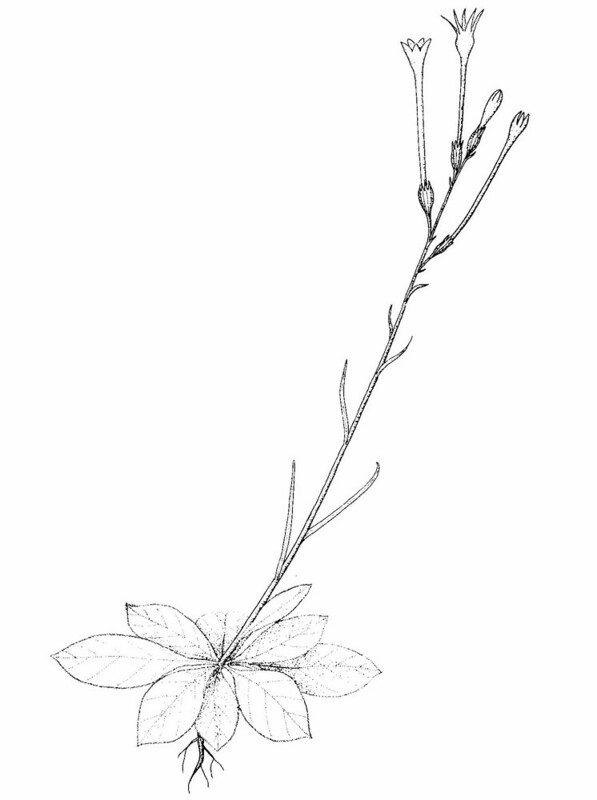 basal, connate tubular portion of the corolla mostly wider than 2.5 mm near its midpoint and leaves strongly decurrent on the stem (vs. N. longiflora, with the basal, connate, tubular of the corolla 1.5-2.5 mm wide and leaves not decurrent on the stem). 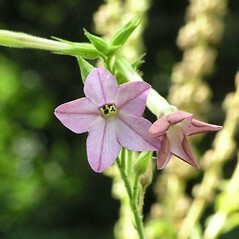 long-flowered tobacco. CT, NH. Fields, waste areas, dumps. 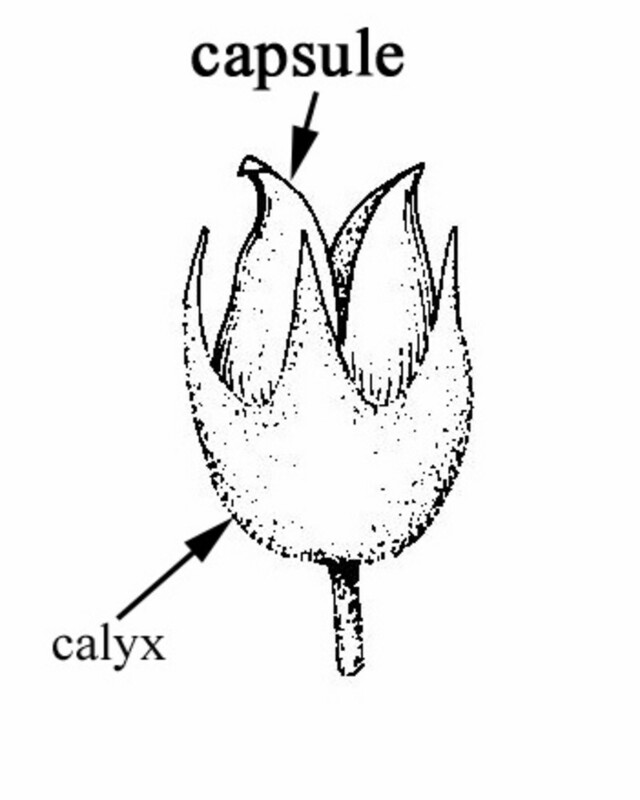 The report of this species in VT by Magee and Ahles (1999) was erroneous. 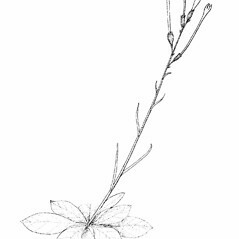 They stated the species occurred in Strafford County, VT, but there is no such county in that state; however, there is a Strafford County, NH, and a specimen exists at NHA! for that county. 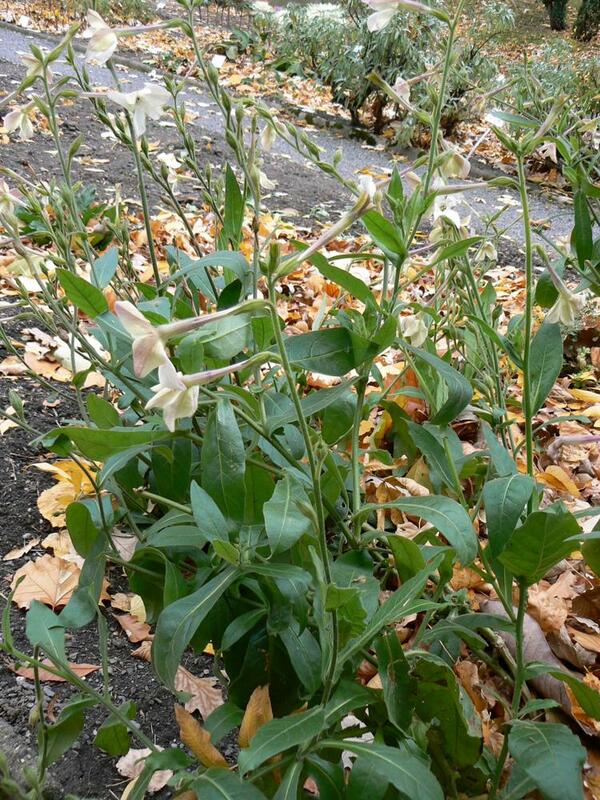 Most collections labeled as Nicotiana longiflora in regional herbaria (including some from CT and all those from MA) are N. alata. 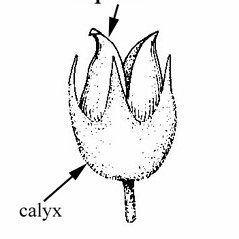 In addition to characters used in the identification key, the two species can be separated by differences in leaf morphology and corolla tube width. 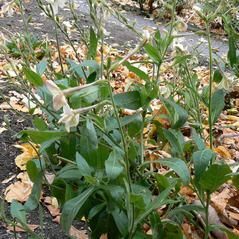 Nicotiana longiflora has clasping but non-decurrent stem leaves and a corolla tube 1.5–2.5 mm wide near the midpoint of the corolla (vs. clasping and short-decurrent stem leaves and a corolla 3–8 mm wide near the midpoint in N. alata).